Four Seasons Local Market began in the summer of 2016 as a meeting of four families around a dining room table discussing how to best reach the summer market consumers through all four seasons of the year. The vision evolved into Four Seasons Local Market at 216 East Main Street in Crawfordsville. The market offers beef, pork, lamb, chickens, eggs, coffee, homemade heat and serve meals, honey, syrup, and a variety of homemade baked goods. We pride ourselves on offering our customers the opportunity to ask questions, try new things, and build a relationship with their farmers and bakers. We also showcase products from various other local producers rounding out our offerings and making sure we have something for everyone wanting to support local food production and see the local faces making and growing your food. We invite you to learn more about our individual farms below and stop in to see what we have to offer to you! The Mills Livestock Farm raises quality Black Angus beef cattle sired by registered Black Angus Bulls. They are a member of the American Angus Association and an IQ Beef Certified producer. Their cattle are fed a diet that is reviewed regularly by an animal nutritionist to make sure the animals are eating a quality ration with all of the vitamins and minerals they need. The ration consists mostly of pasture, hay, non-GMO corn, and spent brewing grains from a local brewery. While all of their beef sold privately or at a retail market is antibiotic-free and does not contain any added growth hormones, they will treat an animal with medication if necessary. We like to think of our cattle as individuals; we treat them with respect, and we will do what it takes to keep them healthy. If an animal does need treatment, that treatment is recorded and the animal is sold to a different market. Mills Livestock values their customers and their comments, thoughts, and opinions. They like to hear feedback on taste and quality. If there is something that you would like to tell them about, something they could do better, or just to say hello... please feel free to contact them! Shady Rail Farm was established in 1995 when Patrick & Jenny Beasley purchased 45 hilly acres set between Veedersburg & Hillsboro. The Beasley's have two grown children; a daughter, Kayla, who is in nursing school and a son, Creston, who is serving his country in the US Air Force. Jenny's love for canning and baking began when the couple married in 1994. Since then they have always planted a garden, grown their own berries, and canned produce. 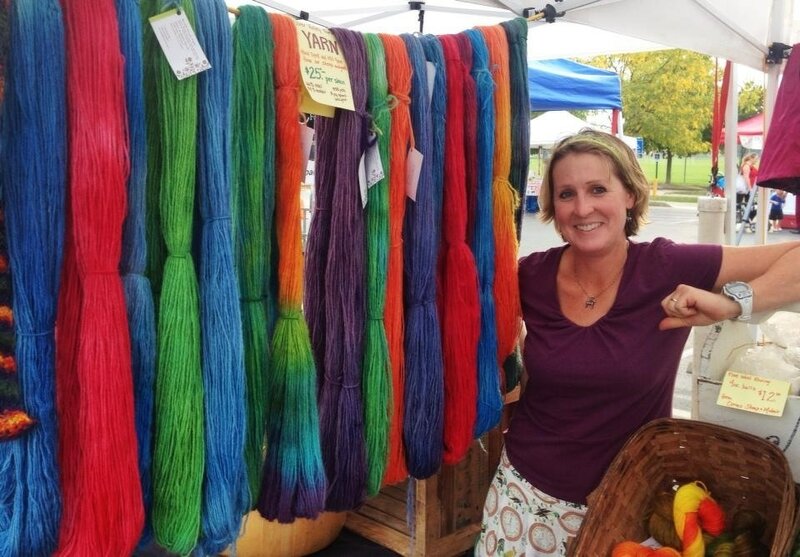 In 2007, Jenny started going to the local farmers market with canned goods & fresh baked goods. Fast forward to 2012...The Beasley's were having great success with both baked goods & canned goods at the Crawfordsville Farmers Market & with custom orders. So, why not take a big step and build a certified kitchen on their farm, that would allow the business to grow. With the addition of a certified kitchen, the couple started catering. We are passionate about growing healthy, great-tasting lamb to share within our local community. We enjoy teaching others how simple it is to cook with this delicious meat. We are third generation livestock farmers from Oregon with a passion for providing our community with locally-raised lamb from fertile fields of grass. Our lambs are raised on pasture, without antibiotics or growth hormones, and are available to you year round as individual cuts or whole and half lambs cut to your specifications. From our pasture to your table, we offer flavorful lamb you’ll love! 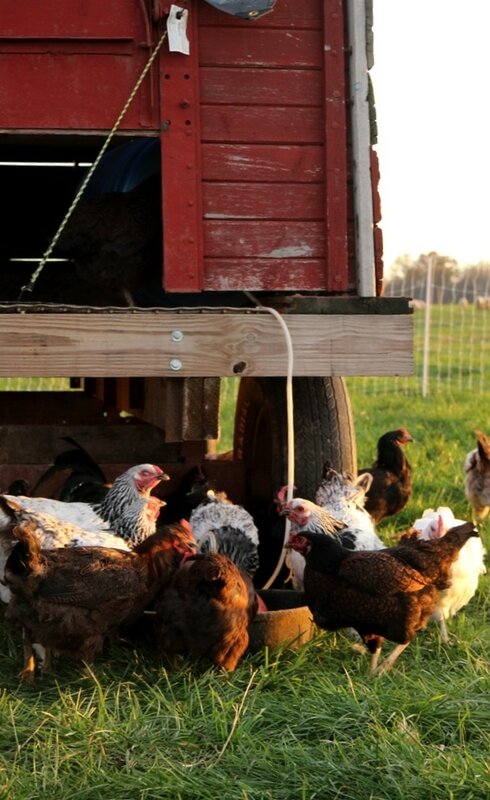 Silver Valley Farm is located 25 miles south of Lafayette, Indiana and 45 miles northwest of Indianapolis. We are a small farm raising Hampshire, Polypay, Border & Blue Faced Leicester sheep and sell lamb and wool products directly to consumers. Our sheep are raised traditionally on pasture; the way our grandparents raised sheep on the farm. We grow a variety of forage for rotational grazing and we produce our own hay to feed through the winter months when the grass is not available. Our focus is on producing the best quality lamb to sell to our customers and we would never sell anything we would not put on our own table. We raise approximately 90 lambs per year that are processed at local state inspected facilities allowing us to sell directly to the consumer. A variety of frozen lamb cuts are available at Four Seasons Local Market, or you may contact us by phone or email. Additionally, we sell whole or half lambs, cut to your specifications to provide a cost effective way to feed your family quality lamb. 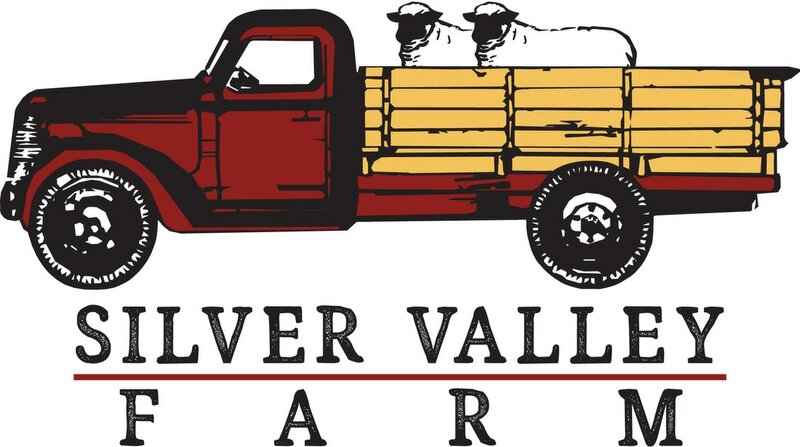 ​Beyond local, flavorful cuts of lamb, Silver Valley Farm offers a variety of other products. 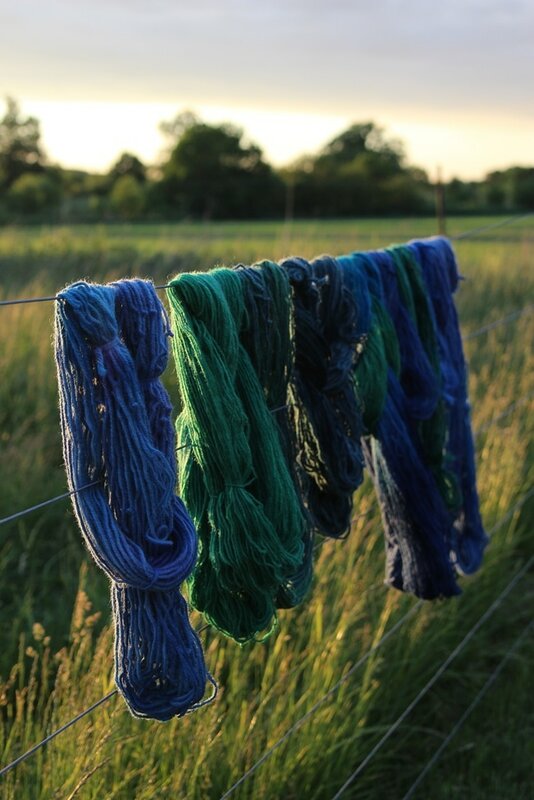 We sell brown eggs from our pastured hens, hand dyed and natural colored farm yarn, roving and wool dryer balls made from our flock’s wool. Wendy makes hand soap and small batch ice cream at a commercial kitchen nearby. Be sure to check out the ice cream flavors in our weekly newsletter. ​Shannon Family Farms was started in July of 2004 by Jonathan & Kelly Shannon with a farmhouse, 9 acres, and a small herd of Boer Goats. As time went on, the farm evolved to what it has become today. At Shannon Family Farms, we strive to raise animals in the most responsible way possible while meeting the demands and needs of our family and customers alike. Jonathan and Kelly both work fulltime off the farm and are employed in local school systems as an educator and administrator. Along with their 3 daughters, raising cows, pigs, chickens, and goats has become a family affair. The farm was the ideal location to settle because within 3 miles of Shannon Family Farms there are 5 other farms in the family. Each one has a focus of their own, but they combine to share machinery and other resources. The boundaries of the farm have not changed since 2004, however, the facilities have changed dramatically. Upon moving in, the farmhouse began renovations to bring it into the modern era and those renovations continue to today. Shortly after settling in, a farm shop was constructed to house all the necessities for keeping equipment running and making necessary repairs. When the decision was made to bring layer chickens to the farm, a chicken coop was built to meet the demands of our egg laying flock. The late 1800s main barn has had some preservation work and remodeling done to keep it as a fully functional barn that will likely last another 130 years. An addition was made to the original farmhouse in 2012 to meet the needs of the growing family. As time went on, it became evident that small scale, niche market, livestock production would be the focus for Shannon Family Farms. Beef cattle, swine, meat and layer chickens, and meat goats were chosen as the main livestock species to graze our pastures. ​We breed our own cattle to have total control of their food intake their entire lives. If feeder cattle are purchased, they are brought to the farm at weaning from local, trusted farmers. Piglets are purchased shortly after weaning from local farmers whom we have built a relationship. These piglets are normally from show strings. Meat chickens are shipped directly from Welp Hatchery as day old chickens. Our layer chickens arrive as day old chicks from Murray McMurray Hatchery. The goats are brought in from other breeders who we have visited their farm and gotten to know them. An animal is never purchased from livestock auctions and brought to our farm. Through our selective alliances with local farmers and hatcheries, we can ensure our animals are being raised responsibly. Each animal at Shannon Family Farms has a full history that can be provided. That history details where the animal has been and any medicines it has had along with the exact dates. The careful selection of animals ensures your family is purchasing high quality meat and/or eggs from a trusted source.